When my husband goes out of town, it always makes me smile to come home to a sweet note he left. This past weekend, this one made me especially happy. Instead of addressing it to Kaitlin, he wrote Katie. My whole family and my very first friends call me Katie. It is a name that feels like home. I didn’t even know my name was Kaitlin until the first grade, and due to the great number of Katie’s in my childhood, I’ve been called Kaitlin ever since. 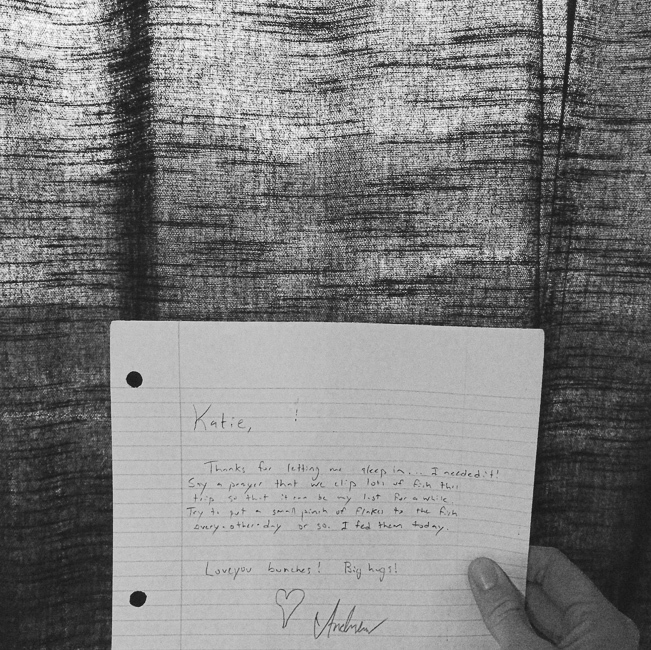 So, when I get notes to Katie twenty years later, it always makes me happy.